Cut Back Barbershop is owned and operated by Christina Morgan, who has been a barber & hairstylist for over 20 years. She specializes in Hot Lather Shaves/Head Shaves, Barber Cuts/Military Cuts, Children’s Cuts and Women’s Cuts. Christina has been my barber for over a year and truly does an excellent job. 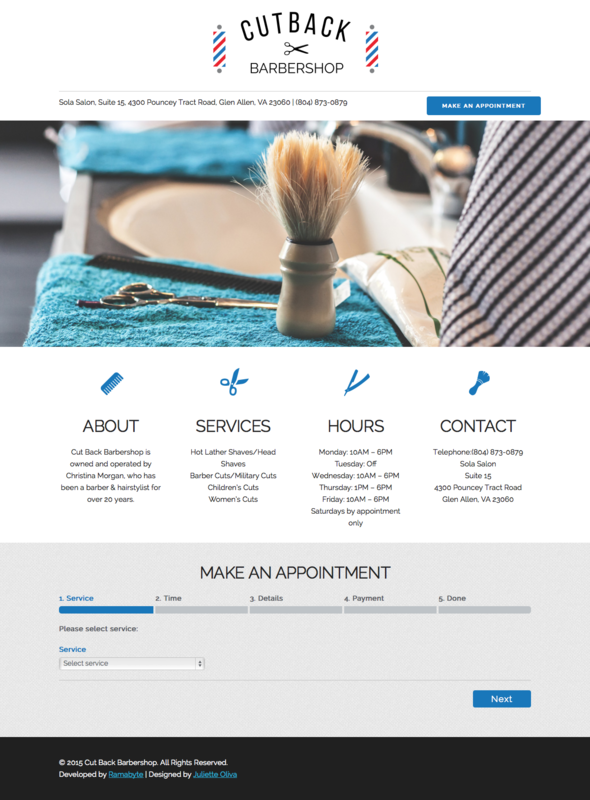 When she ventured out and started her new business I offered to make her a simple site with the ability for customers to schedule appointments. I hired Juliette Oliva to come up with the basic design as well as a logo for her business. As this was a new site without any search history I ensured that her SEO was top notch and also setup a Google Business page to help her site rankings. The site is fully responsive including the appointments section.